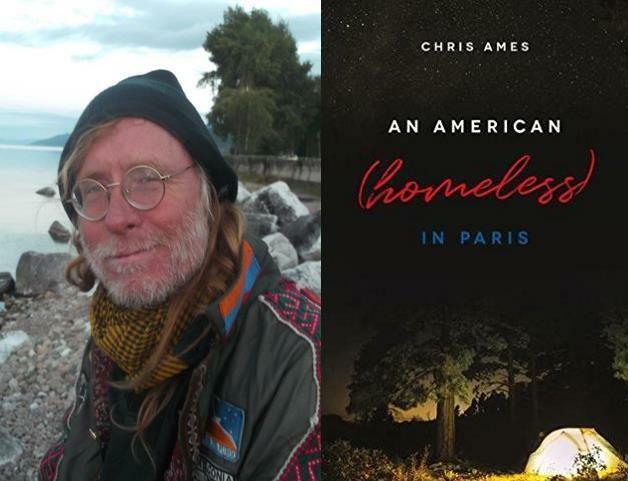 “I’m not saying become homeless, but do understand it opens many doors, and helps us appreciate the doors we can close.” That’s Utah native Chris Ames, writing in his book, “An American (homeless) in Paris,” out from University of Utah Press. An interview with Chris Ames. Before a post-divorce road trip Chris Ames had been ensconced in French domesticity, with a wife, two children, and a regular job. Returning to Paris after that trip, he became an American vagabond and seeker who, lacking sufficient means and motivation to pay the rent and invest again in permanence, opted for homelessness. He soon found an unexpected place to pitch his tent—an abandoned golf course. Ames recounts a full year spent living there, with little baggage, through snow and heat, while commuting to his job as an English teacher in the city. Developing his urban-survivor skills, he rekindles relationships, starts others, offers glimpses of Parisian society—homeless and not—and ruminates on direction and the lack thereof. Chris Ames joins us for the hour to talk about his experiences in Paris and his travels around the world, including in the ‘Stans and Russia and hitchhiking across North America. "An Ameican (Homeless) In Paris"